Nelly was featured in the 22nd October issue of The Sunday Business Post, a weekly Irish newspaper. 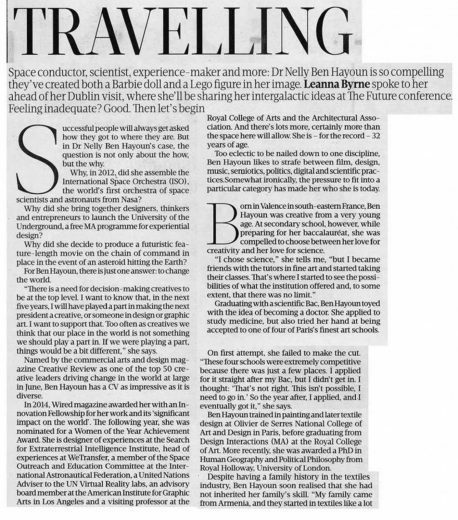 Nelly talked to Leanna Byrne ahead of her Dublin talk at The Future conference, she spoke about her numerous past ventures from making kimonos in Japan and studying textile design. Nelly also shared her new ideas and projects including the University of the Underground and her Doppelgängers. 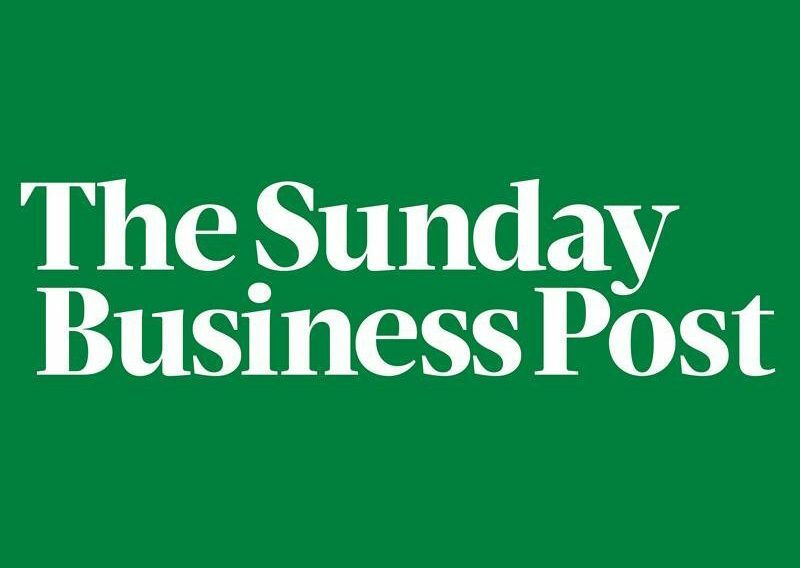 The Sunday Business Post is Ireland’s leading business, economic and political newspaper celebrating 25 years of independent journalism. You can find out more about SBP on their website. Leanna Byrne is a news reporter with the Sunday Business Post. Byrne was previously editor of The University Times, Ireland’s largest student newspaper, in Trinity College Dublin. Under Byrne’s editorship, The University Times won Student Publication of the Year. In 2014, she was selected to participate in Nobel Peace Prize winner Elie Wiesel’s ”Leaders of Tomorrow conference. Byrne, a Trinity graduate, holds a joint-honours BA in Business and Politics.